Achieving bodybuilding success has a different meaning for every person. For some bodybuilders success is measured by their ability to win bodybuilding competitions, while for others, bodybuilding success is simply losing a couple of inches off the waist, firming up the muscles and feeling more energetic and positive about life. My personal definition of bodybuilding success, for instance, is to achieve the most symmetrical, defined and balanced physique that I can while building and maintaining a high degree of muscle mass that looks good (which is a matter of personal opinion) on my 5’4″ frame. 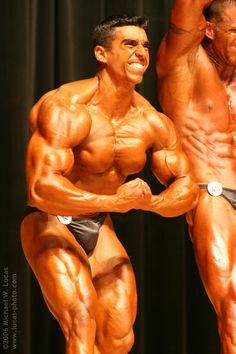 Regardless of what your definition of bodybuilding success is, which may change as you move along on your bodybuilding journey, a common misconception amongst those in the beginning bodybuilding stages is the belief that all one has to do is take the right “magic pill”, or bodybuilding supplements, and the body of your dreams will be created in record time. After 18 years of trying everything out there and being extremely involved in the industry, I can tell you that no matter what unscrupulous advertisers claim on their magazines or cleverly worded TV ads, getting that nice set of and achieving a sculpted body that looks like a fine work of art will not happen overnight. And not only will it not happen overnight, but it will also take way more work than advertised. T is the bodybuilding training that you’ll use. Each component in the formula above can only have two values. A value of 1 is given to a component if it is followed completely. A value of 0 is given to any component that is not followed or followed halfway. Therefore, if every single component is followed, you get a maximum value of 3. In this case the person will get the fastest results possible from their program. If the person stops following one of the components inside of the parenthesis then you get a lesser value and not optimal results. However note that if you don’t have any determination you get a value of 0 and then your whole program fails as you won’t get any results. 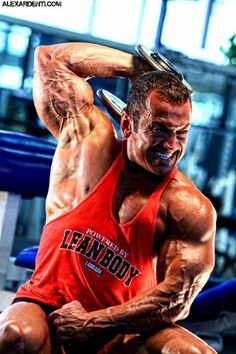 The reason for this is because determination is by far the most important factor in determining the amount of success you will achieve in your bodybuilding program. After examining the formula above, now it is easy to see why just purchasing a sophisticated gadget or a couple of “magic pills” at the health food store are not going to cut it. 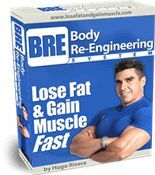 In order to achieve permanent weight loss all of the factors described above have to be present and in perfect harmony. Follow one, but not the other one, and your success will be negatively affected. Now that you have an idea of what it will take to get the body of your dreams, let’s go into each of the individual components of the formula for success. This is the most important ingredient by far. If you are not determined enough to make the sacrifices necessary to get in shape, then do not expect to have that coveted six-pack by the summer. Most people usually think that I have all the time in the world to workout (by the way, most people’s excuse for not being in shape is lack of time). When I tell them that I am married, I have a child, and work an average of 50-60 hours a week, they can’t believe it. I can certainly understand that we live in a very busy age. However, please don’t tell me that you don’t have at least 30 minutes, 3 times a week that you can spare on taking care of yourself; that is simply unbelievable. Only some people on the Medical Profession may have schedules so busy that working out may be most challenging, but then again, I have met very busy surgeons who still make the time. The people with the time excuse (which is around 90% of the population) are just an example of people that want something, but just don’t have the determination to make it happen. So remember: Be determined and stick to your goal! A. Anaerobic work (i.e. weight training.) is the number one way to re-sculpt your body. (No ladies, weight training won’t make you muscle bound.) Why? Weight training is far superior to any other type of exercise because it increases your metabolism, which in turn helps you burn fat, and gives shape to your body. B. Aerobic work (i.e. walking) in your Fat Burning Zone (which is (220 – Age) * .75 = Fat Burning Heart Rate) is a good way to accelerate the fat burning process, as long as it is not overdone, and as long as it is only used in addition to a good weight training program. Cardiovascular exercise should never be used as a substitute for weight training. Nutrition and training go hand in hand. Have you ever heard of people that say that as long as you workout you can eat anything you want because the workout will burn it off? Well that is wrong! While it is true that if you made the correct food choice you can eat it much more that you thought you could, you cannot go every day to your favorite burger joint and get some fries with a triple bacon cheeseburger to go.. 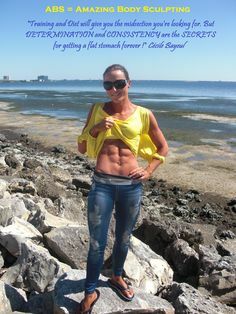 Therefore, remember this, if you follow the wrong diet, or follow no diet at all, then rest assured that your training efforts will be sabotaged and you will get no results at all. 4) Lack of Concentration and Lethargy. Therefore, make sure that you get your ZZZ’s or else you will be forced to live in a body that will not be operating at peak efficiency. If you want to make your program as efficient as possible, then you need some supplements. Why? Because nowadays, foods are so processed that it is impossible to get all the vitamin and minerals that your body needs in order to run at maximum efficiency. Even though supplements are not a component of the formula above, they are a subcomponent of the nutrition one. They make the nutrition component as efficient as possible. So there you have it. 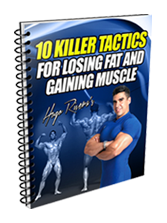 In order to achieve bodybuilding success, you need to take into account all of the variables of the formula described above. No “magic potion”, or even steroids, will provide you with any gains if training, nutrition and rest are not maximized. So that takes us back to the fact that in order to ensure bodybuilding gains, you need to have an uncanny determination that will allow you to do what you need to do day in and day out. In this game, determination and consistency are the true keys to achieving bodybuilding gains. Hugo is spot on, this is a great video and tells it like it is. Diet and rest are right there with training, and you need to wrap all of this with being very consistant on the diet and the training days. Put them all back to back, dont cheat and dont miss the workouts. All of that and get rest too and a lot of WATER! Dont fake or even lie to yourself, be 100% honest and listen to this man, he is spot on one of the best!